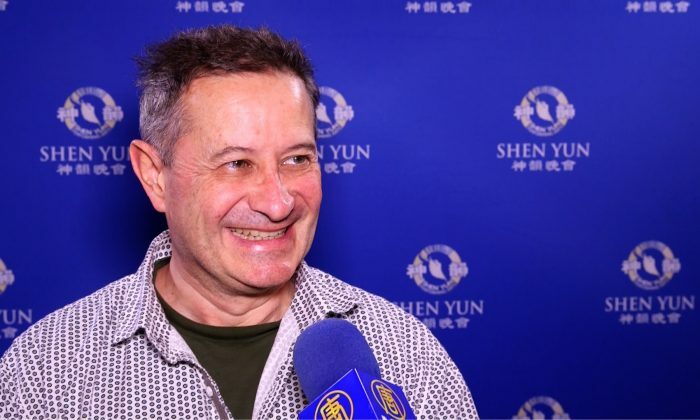 SANTA BARBARA, Calif.—Emmanuel Itier, award-winning film producer and director, said he loved Shen Yun Performing Arts at The Granada Theatre on March 31. “It was fantastic, mesmerizing, enchanting. It really is a journey for the soul, for the mind, for the divine,” he said. 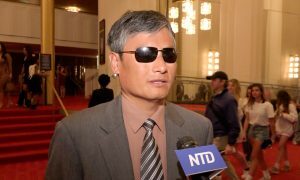 Itier has produced more than 20 short and full-length films, including the documentary “The Invocation” in 2012, narrated by Sharon Stone and staring Desmond Tutu, The Dalai Lama, and Deepak Chopra. 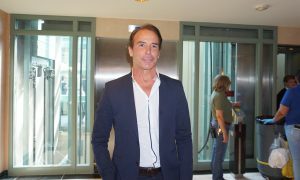 He’s also a journalist for magazines and French television, and he was on the board of directors of the Santa Barbara Film Festival for 10 years. 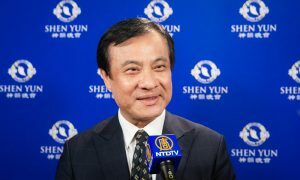 New York-based Shen Yun is the world’s top Chinese cultural music and dance company, with six groups touring the world simultaneously showcasing a brand-new program every year. The performance focuses on classical Chinese dance, with story-based dances, ethnic dances, a live orchestra with both Eastern and Western sounds, an interactive digital backdrop, vibrant costumes, and musical soloists to round out the program. 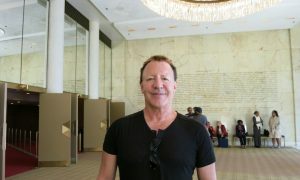 Itier was especially impressed with the coordination of the orchestra with the large group of dancers on the stage. “It was was superb, really inspiring, really perfectly synchronized, amazing job,” he said. The Shen Yun orchestra includes traditional Chinese instruments, such as the pipa, gong, erhu, and others, creating a unique sound. 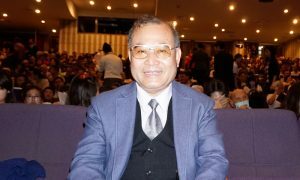 He said while watching Shen Yun, he closed his eyes, and he could feel a divine energy emanating from stage, encompassing the deep artistry and spirituality of the performance. “It gives you chills. It makes you feel alive. It makes you feel whole again, which is great. That’s where music plays such an important role about waking up all your cells and your mind and your body,” he said. 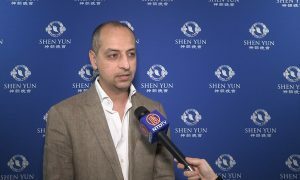 As a filmmaker, he felt the overall structure of Shen Yun was very well done, and the experience took the audience to a place they had never been before. 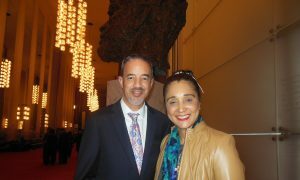 He hoped many other people would have the opportunity to come to see Shen Yun.